It’s been two weeks since I posted about reaching the second plot point, and I’m now well into writing the climax to wrap this first draft up. Work beckons me to some extra travel time the next couple of weeks since we’re doing a big software roll out/go live/implementation/whatever you want to call it. In short, my weekends will become shorter than usual, my work days longer than usual, and I will likely be drooling into my cereal come Friday morning, assuming I have enough energy to make a bowl of cereal. Oh well. This is life for me, and go lives and wonky schedules are all part of the game to pay the bills. So I write when I can, and with the extra fun that comes from writing the story’s climax, I will find a way to keep writing on the weekends. Scrivener software has a statistics option I can use to check my word count. Using MS Word, it constantly showed the word count for the document, and I initially hated not having that stat face up when using Scrivener. Now, I love that it’s not face up because I can just write and not dither with word counts. Several weeks ago I remember seeing the word count around 65K and groaning. I had much of the story done (or so I thought) and really needed another 15K words at least to not let the final book be too short. I kept writing, not bothering with the word count again for a while, but I just checked it this morning. 86K and I still have more to go! While I’m not sure where THAT came from, I had to laugh. My stress about having a “short” story when books one through four have all been around 80K was clearly unwarranted. Maybe I should start a pool to see who can guess the final word count and win a prize. I’m digging this idea! 🙂 Stay tuned! It appears that three weeks have passed since my last post. This is more proof to the long-standing fact that I can’t keep track of time worth crap. Working night shift many moons ago in the ICU destroyed my ability to keep track of the day of the week and sometimes month. I’ve even been known to get the year messed up a time or two and not anywhere around 1 Jan when most normal folks struggle to flip to the new year. In the last three weeks, I’ve kept busy. Had a blast in VA for a couple of days with friends, then caught up with more friends in DC. Did my usual MD-ME travel for work, had a couple of catch up days with friends while in MD, and squeezed in more social time this past weekend with more friends. 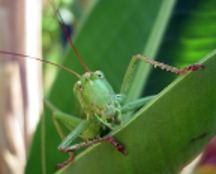 Normally I’m not quite the social butterfly (or grasshopper? ), but the timing was right to see all of these great people, and I had a blast. I use my weekends to recharge after work travel, and I somehow screwed up the recharging part two weekends ago. So last week’s work travel to MD was brutal. This past weekend was an amazing time to regroup. I’ve done a lot of writing over the course of Sat, Sun, and today. Normally I’d be en route to MD on a Monday, but I’m off work this week. Yay! I have another day at home then I’ll travel to FL to visit more people before heading back to MD. The TSA folks know me well! Today I made it to the second plot point of the 5th book. “What the flippity flop is a second plot point?” you may ask, using those exact words, I’m sure. There is a place in the story where all hope is lost, your hero has had the absolute crap kicked out of him, and he’s ready to give up. Then there is a turning point, where the hero regroups, ready to get back into the fight, and this is the second plot point (SPP). It’s also the 75%-ish mark of the story, which means you’re almost home. The SPP kicks off the story’s climax. The movie Twister. When Aunt Meg’s home has been destroyed by a tornado and the ambulance leaves, presumably with Jo in the ambulance with her aunt, you then see Jo stayed behind. She’s watching the spinning artwork in her aunt’s yard and says: “I know how to make Dorothy fly.” Second plot point, kids. For me, the writing process to reach the SPP is a slog. It’s slow, tough, and a very long process to get there. That’s not to say that once you reach the SPP things get easier. For me (other writers may feel differently) the climax is THE toughest part of the story to write. It’s also the most fun. The action is at its most intense at this time when your hero finally turns things around and starts REALLY fighting back. End the story with a fizzling climax = unhappy readers. There is a lot of pressure on when you venture into writing the story after the SPP. This is the final book in the Burnt Mountain series. Time to knock this thing out of the park with a bang. Or in my case a bang and a fire. Given the series name, I obviously like to torch things. It’ll be exhausting, but I’m wicked excited to be at this phase of the story now. The above photo comes from the public domain abyss of Facebook, and I think it’s hilarious. 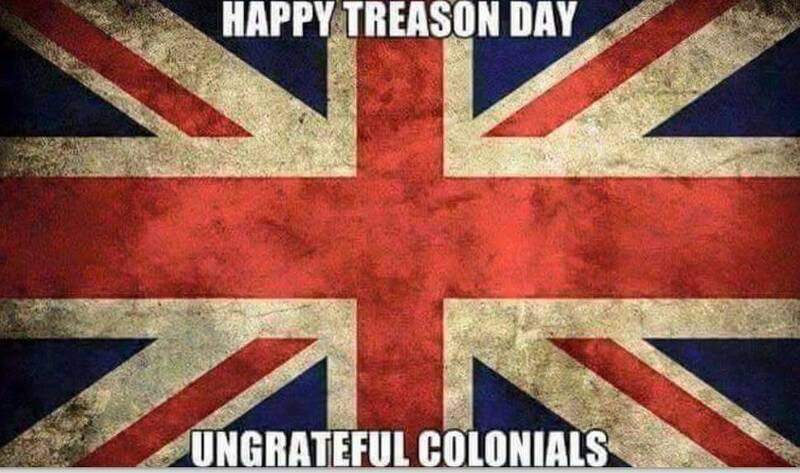 Of all the 4th of July stuff slathered across the internet this weekend, this one made me laugh, out loud, that is. I spent the long weekend hunkered down at home. I used the Monday holiday to get some work done (the bill paying work) since I have some out of town travel coming on this Friday, but mostly I spent the weekend at home to write. The target right now is to wrap up the 5th book for release by early December. That’s this coming December, so I have to stay at it and this coming weekend I will be doing zip for writing due to playing with friends instead. As I’ve mentioned before, the 5th book is called Burnt Mountain When Heroes Fall. I spent the weekend making those heroes fall, and it was a more difficult process than I realized. After writing with some of the same characters, to kill them off in the last book, well, I’d gotten a bit attached it seems. I’d write for an hour or so and have to take a break. Come back to it for another hour, then break again. So while I’ve had a massively productive writing weekend on the 5th installment, I’m also spent. I’m looking forward to work tomorrow for a change of pace! 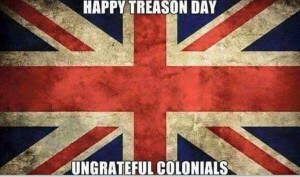 So happy indie day/treason day to folks. Have a safe weekend and don’t blow off any digits. If you have pets frightened by fireworks, I’m sorry. I have been blessed with an idiot dog that is oblivious to the sounds of exploding things, but don’t come knock on my door. He will certainly crap himself over that. Did something this weekend I’d been trying to do for 12 years. While working on my master’s degree, it was both one of the coolest times of my life and the worst. How did I get so lucky to land that double whammy? Well, it happens when your advisers are gigantic assholes. and the field research is the most amazing, fun, and rewarding time. My advisers were manipulative and often gave me conflicting information while telling me my thesis was crap. “Add that to your thesis. No, take that out. Put that back in.” It was a hellish game that had me eating an entire bottle of tums each month I was in the program. Not kidding! Once I started my field season, I was on my own. Out from under their psychotic games, I ran my research, data gathering, and field surveys on my own. I lived in a tent, bathed and did laundry in a balmy 55 degree ocean once a week, conducted business in an outhouse, and stunk of garter snake musk for four months (it was a 3 month field season but the snake musk sticks around a bit longer). It was beautiful. Convinced that my thesis was crap, though good enough to get the degree, I presented and defended it in front of the college’s folks and other researchers that turned out to hear it. Everyone there, excluding my advisers who were also present, told me I did a good job and found my work interesting. My advisers had more criticisms while confirming I’d basically passed muster to graduate. They gave me the impression I’d eked by. One week before graduation, one of my advisers gave me the first and only compliment any of them had ever given me over the span of two years…, and it had nothing to do with my research. I was baffled. I was his TA for two rounds of Anatomy and Physiology courses, and I taught in his place when college policy was to NOT let TA’s teach classes. He made the exception since I was actively working as an RN and had access to the hospital’s training equipment to bring to the classroom. Access he didn’t have. When I presented my work to the college’s board and a large group of students and parents in town for graduation weekend, many had questions and found my work fascinating. My presentation ran over because of all the questions and crowd engagement in my work. But I still believed my 3 idiot advisers. I always hung on to copies of my work with the thought that one day I would re-write said garbage, just for me, no one else. Make it something good so I could say I wrote a good thesis, again just for me. But I wouldn’t read the damn thing for fear that it really would be crap. I have pulled my three hard bound copies out multiple times to bring to the burn pile, but I’d ultimately put them back in the box where they lived. Yesterday, I pulled them out with the steely resolve those suckers would burn that same night. Then I did what I’d always been afraid to do. I flipped open a copy and started remembering my time in the field, and I smiled. Some of the stuff I’d done, I’d forgotten. Much of it I remembered. Then I flipped to the front of the work and started reading. It was GOOD. The writing was clear, interesting (OK, maybe normal people don’t find stuff about snakes interesting, but I do), and flowed well. I expected to find a horrible mess of clunky sentences and non-flowing paragraphs, but I was already 10 pages into the thing when I stopped reading. Maybe early drafts were less than stellar, but my final copy was a well-written thesis. I don’t know why my advisers acted like shits and played their mind games with me. They were wrong about everything. I graduated in 2004, and over the last 12 years I have steadily realized that they had been wrong about a lot of things, but for some reason I believed them when it came to my writing. Obviously I got over that enough when I started writing fiction, but the thesis was always in the back of my mind. After reading and realizing what I’d worked on for two years was a good end product, I put one bound copy of my thesis back in the box for me to keep, not out of fear but out of pride. 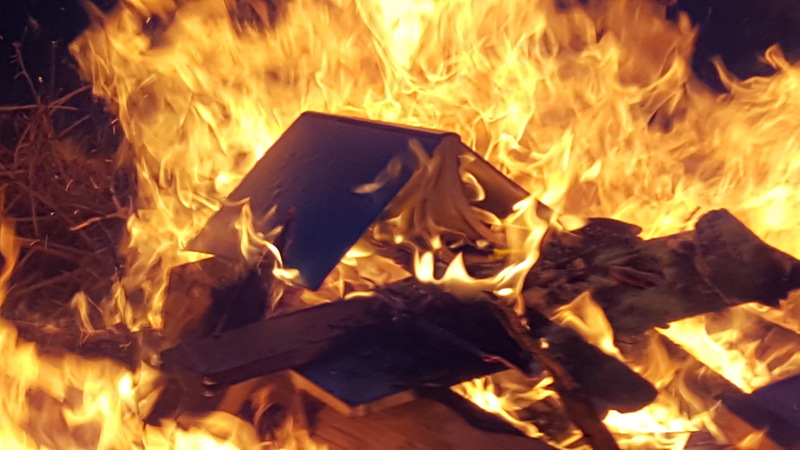 The other two copies went on the burn pile at my friends’ bonfire to say goodbye to the fear I’d been dragging with me since graduation. They burned well and were reduced to ashes along with the final bit of doubt my advisers had poured into me for two years. They decided to be asses, and they can be what they want. They abused a student-adviser relationship. Maybe they perceived me as a threat for whatever reason. Maybe they were just idiots who opted to manipulate others instead of being humane. I’ve learned volumes from the entire experience that stays with me forever. I am not angry. I am not resentful. Their self-imposed doubt is forever gone. They did not win. Sometimes things just don’t go according to plan because of a million different reasons. Vacation and grand plans to write and do some other projects around the house washed out big time because I didn’t expect to be so sore after an outpatient procedure in the middle of the week. Zero writing and only a few other things accomplished during the week instead. I still can’t drink my well water because Mother Earth is hell bent that all her coliform bacteria live in MY well. Third water test off to the health department today. Third time’s the charm, right? I bloody hope so. My cat has opted to move on because, well, it’s a cat. Who the hell knows why. He’s a barn cat and grew up outside, so he could turn back up at some point (like when the snow flies). He’s neutered, vaccinated, and has a collar with my number on it. We’ll see what happens. If it sounds like I’m complaining, I’m not. Except with the well, I really am sick of that ordeal since it started in March. Crap happens. So do curve balls and wrenches. Oh well. If things weren’t going sideways and keeping us on our toes, we wouldn’t be living. So with vacation a big strike out in the writing department and working from home this week, I’m looking forward to this weekend to do some catching up. Why? Because I can. 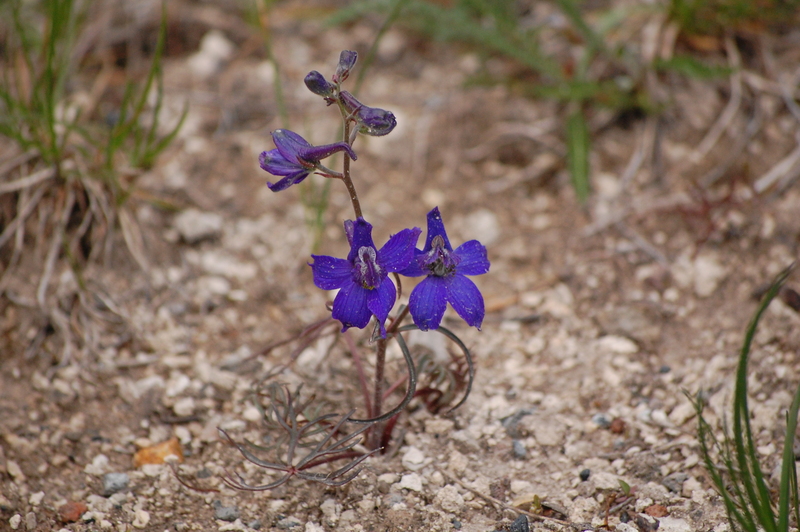 Picture by me – Yellowstone wildflower. 2014.